This August brings a new theme to the Treehouse and this month we’re checking out famous comedy duos. Taking a break from the tragedy of finding a decent mythology themed movie last month we decided to lighten things up this month with our favorite comedy pairings. 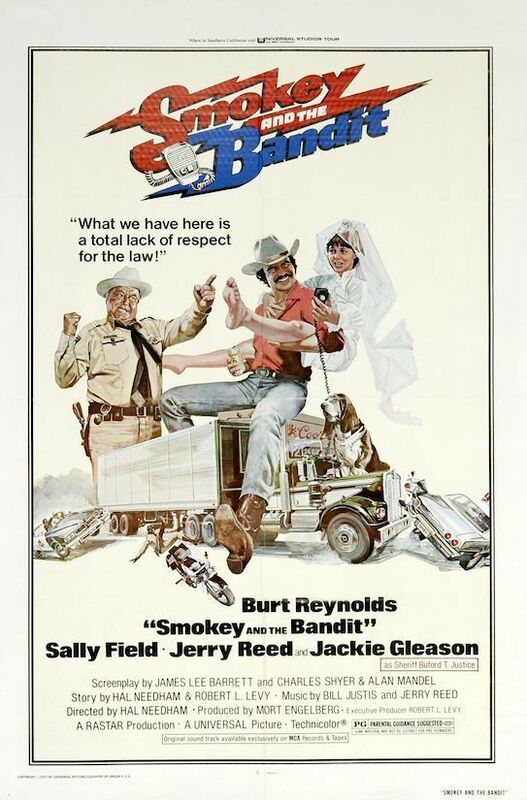 Starting things up will be the 1977 classic Smokey and the Bandit. The second high grossing movie of the year behind Star Wars. It turned Burt Reynolds into an icon and made everybody drive furiously to the dealership and buy a Pontiac Trans Am. We’ll see if it still holds up after all these years and talk about the hilarious cast of characters. We’ll even give you a few behind the scenes trivia we’ve picked up along the ride. Alex, Jesse and Garrett also try out a little “trucker speak” to some success and you can hear what makes this a 10/10 for Garrett. A first perfect score for the Treehouse! Smokey and the Bandit is available digitally or very reasonably priced on Blu-ray with the new 40th anniversary edition.